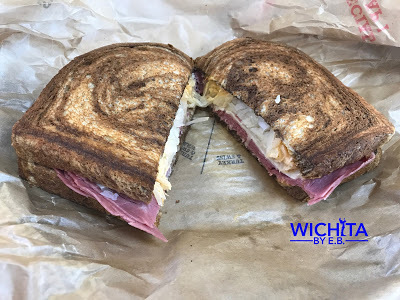 Arby’s Reuben Sandwich Review – Wichita By E.B. The Reuben is quite possibly my favorite sandwich. Years ago, my friends and I used to do Reuben nights where we would all make Reuben sandwiches. When I say we, I really mean they. 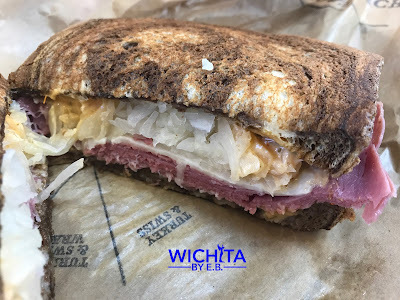 I have always thought about going around Wichita trying to see which place had the best Reuben but that seemed too daunting of a task. 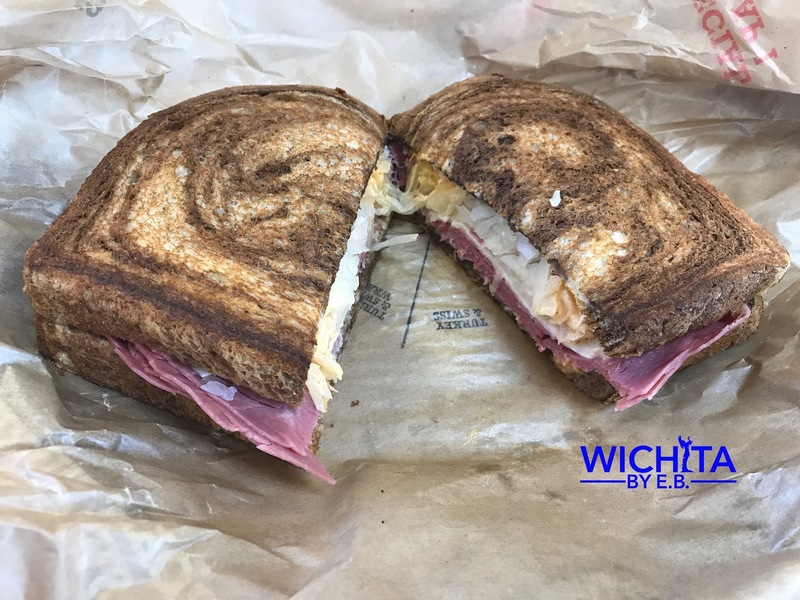 A year ago, the Wichita Eagle put an article out on the best Reuben in Wichita. 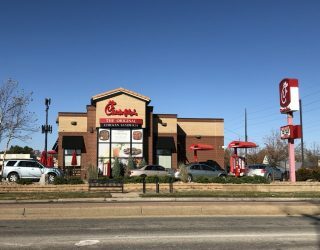 Many of the favorites like the Artichoke and the Anchor made the list but there was one inclusion that took me by surprise: Arby’s. Admittedly, Arby’s is one of my favorite fast food restaurants due to their curly fries and their assorted sauces (I’m a huge condiment fan). So for the sake of science, I set out to take one for the team and see how they ranked with against the competition in town. For $5, Arby’s included everything that made for a great Reuben: corned beef, sauerkraut, Swiss cheese, thousand island dressing and rye bread. For the record, I love thousand island dressing as much as I do Russian dressing. The ratio of corned beef to sauerkraut and Swiss cheese was a bit off. I’m the type of guy who loves a good amount of meat in a sandwich. Arby’s gives you the option for double meat but I didn’t feel it was necessary to have to spend more for a decent amount of meat. I felt they were still cutting it short. I had no issue with the thousand island dressing, quality of the meat or sauerkraut. The flavor was there with the tangy bite thanks in part to the dressing. My biggest issue with the sandwich was the rye bread.The flavor of the bread was light but that wasn’t the problem. The bread was extremely soggy. The toasting wasn’t noticeable at all in the texture. While the bread was soggy, the crust was really chewy for some odd reason. I think a good Reuben should have a nicely toasted bread that firmly holds the entire sandwich in tact. Unfortunately at Arby’s, I could almost feel the dressing wanting to push it’s way through the soggy bread. At Arby’s, you are looking to spend roughly $7-8 for a meal with fries and drink which is a little high for a fast food sandwich. You could go to local competitors and spend roughly the same or a couple bucks more for a better Reuben. I couldn’t disagree more with the Arby’s inclusion on the Wichita Eagle’s list of best Reuben.